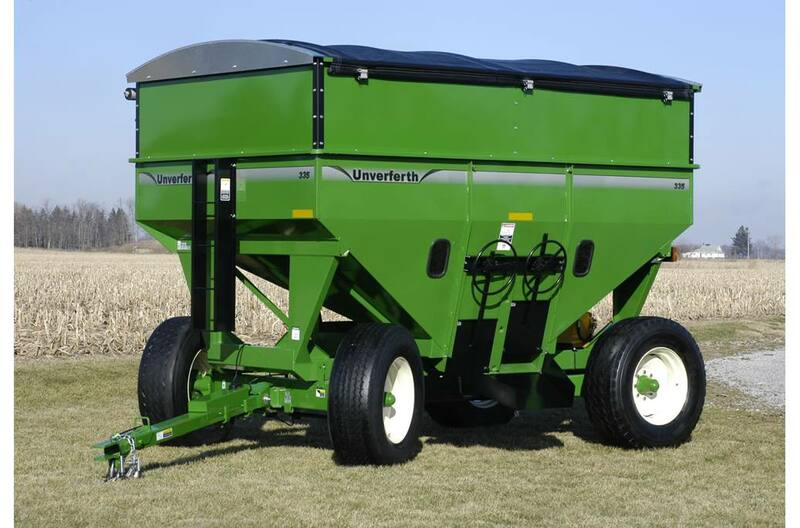 2018 Unverferth GB 325-375 for sale in Norfolk, NE. Dinkel Implement Co. Some producers think all gravity boxes are the same and are only for hauling grain. Unverferth gravity boxes, however, are much more. We design and build them for transport of all kinds of bulk items such as feed, seed and fertilizer. With an optional unloading auger, a properly matched Unverferth gravity box and running gear is even more versatile. Door: 20" x 34 1/2"